One is a former Ultimate Fighting Championship (UFC) heavyweight champion, the other is an ex-PRIDE FC lightweight titleholder, both are in dire need of a win at the upcoming UFC Fight Night 111 mixed martial arts (MMA) event, set for June 17, 2017 inside Singapore Indoor Stadium in Kallang, Singapore. Andrei Arlovski and Takanori Gomi. 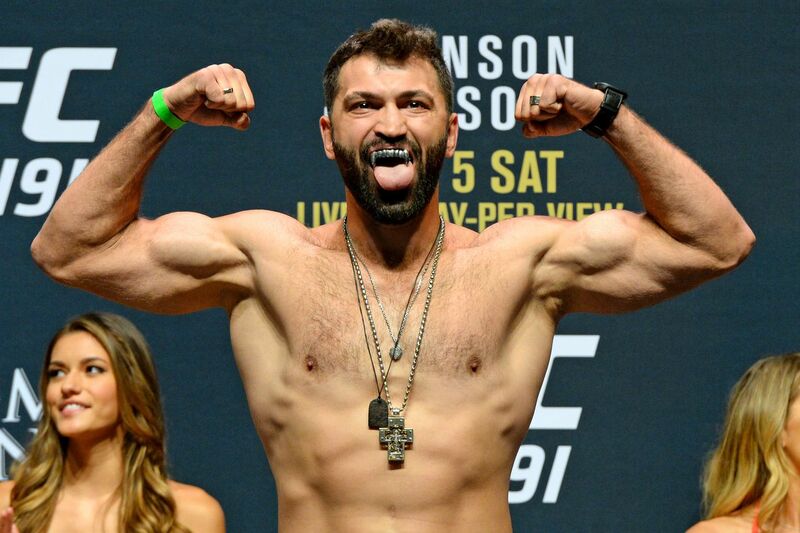 Arlovski (25-14, 1 NC) dropped four straight fights for the second time in his lengthy combat sports career when rising heavyweight contender Francis Ngannou took him to the woodshed at UFC on FOX 23 back in January. He’ll get a chance to keep his UFC career afloat against Polish puncher Marcin Tybura (15-2), who is coming off back-to-back wins over Viktor Pesta (UFC Fight Night 92) and Luis Henrique Oliveira (UFC 209). Gomi (35-12, 1 NC) has now lost three in a row — all by way of technical knockout — and four of his last five dating back to early 2013. “The Fireball Kid” has not competed since getting smoked by Jim Miller at UFC 200 last July. Opposing the 38-year-old slugger will be struggling lightweight Jon Tuck. “Super Saiyan” is just 3-4 in seven trips to the Octagon and looks to slam the brakes on his two-fight skid, comprised of split-decision losses to Josh Emmett (UFC Fight Night 87) and Damien Brown (UFC Fight Night 101). Expect the main and co-main events for UFC Singapore to be announced in the coming weeks.